Must-see hot events held in Tokyo for June, 2017 brought to you by MagicalTrip staff. From events featuring Japan’s tradition such as Yabusame, the Tokyo Toy Show where the latest toys all over the world gather and can be enjoyed with children and to events where you can enjoy Japan’s local foods. We highlight the best events for anyone visiting Tokyo in June, 2017 and wondering what to do. Plan a trip around the various traditional events held in Tokyo in June, 2017. Please also check the events and locations that have high reviews such as YUCa’s Cooking Class and Robot Restaurant! Yabusame is an event held in the western part of Tokyo, Fuchu city. “Yabusame” stands for the act of shooting an arrow while riding a horse, and originally was training done by upper class samurai; however, has now changed to an act of showing dedication to the shrine. To be able to shoot a bow while riding a horse is very difficult and is considered a masterpiece that only the well-trained can accomplish, and displaying this skill while wearing full samurai armor has a huge impact towards viewers. Since this event is not frequently held even in Japan, be sure to not miss this rare event! In addition, before the Yabusame event, you can see Iai performances, where they display high speed sword skills, and various people in samurai armor. Although it is a bit far from the center of Tokyo, it is definitely worth going, and is a must go recommended event. The Nogaku festival is an event held to connect a wide variety of people to the world of traditional Japanese theater, “Noh”. The best part about this event is that you can see not only Noh but also Kyogen, Mai and other traditional Japanese arts all at once. Even better is the stage being a traditional Noh stage, “Hosho Nogakudo”, allowing audiences to see the traditional Japanese forms of beauty alongside the the unique stage design. After the program, you will be able to interact with the Noh performers during the party* and learn about the various people who help keep this traditional forms of art alive. Since this is a very popular event, securing tickets is a matter of time. 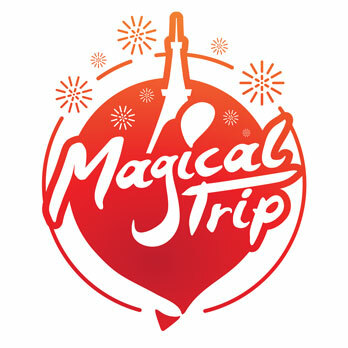 Magical Trip will also support with ticket reservations so please feel free to contact us. Participation eligibility varies on ticket type. Purchase tickets in advance for reservation. Please contact us for ticket status. “Cha no Yu” was a method of drinking tea that was enjoyed from the Middle ages by people of the upper class such as samurai and priests. Especiallt through teaware such as pots to go alongside the tea and tea cups were prized, and possession of unusual teaware typically connected with high status. Oda Nobunaga, Toyotomi Hideyoshi and other famous Japanese Warring period Daimyo have all been said to love “Cha no Yu”. In fact, this method of drinking tea is still loved by the Japanese people for it’s lack of waste and high quality “Cha no Yu”, and is practiced by many people as a hobby called “Sado (Tea Ceremony)”. During this event, you can not only see a number of tea ceremonial items including the national treasure “Yohen Tenmoku tea bowl” but also learn how the spirit of “Cha no Yu” has influenced Japanese culture and society. 1,600yen per person. Junior high school student & younger children are free. “Imari-yaki” is a generic name of porcelain handmade around Arita in Saga prefecture, Kyushu, and “Old Imari” refers to these imari-yaki produced in the Edo period. These have been exported abroad as Japanese artwork since ancient times and was prized by the royal of various countries around the world. It even became so valued to the point, rooms were made specially to have these works on display. There are still many fans of “Old Imari” all around the world. The white and smooth texture as well as the brilliant and coloful pictures are beautiful. The beauty is also said to had influence on European porcelain. This Old Imari exhibition collects these precious Imari from around the country and has them on display for you to enjoy. Do you know about Fireflies? It is an insect that can only live besides clean water and at night, emits a pale and beautiful yellowish green light for mutual communication. This light is quite rare and is hard to see in day to day life. When these fireflies gather near quiet waters and give off their light it is a beauty that cannot be expressed in words. In Japan, there are fireflies known as Genji Fireflies but, due to the decline of natural water, the firefly habitat has narrowed year after year. As a result, the beautiful light of these fireflies have become quite hard to see in Japan. The Firefly Festival in Fussa is one of the few events where you can see this precious and fantastic sight. Although it is a bit far from the center of Tokyo, it is definitely worth going, and is a must go recommended event. This event consists of two main events. One is the Japanese Sake fair 2017. Sake is gathered from various parts of Japan and sold as well as a variety of events such as a seminar by key chief sake brewers are held. And the other one is “Open Sake Tasting (Open Kikizake-kai)”. “Kikizake” is a traditional way of drinking sake and is used to understand the differences between various sake that you taste and to find the taste that suits you. The original sake cup (ochoko) is handed to visitors and you can drink and compare all 410 prize-winning sake from breweries nationwide. There is no event in Japan that can beat the scale of this event. Sake can have a variety of tastes and aroma with the slightest differences in manufacturing methods, materials such as rice and water and region. If you plan to participate in thie event, we encourage you to participate in both. Children under 20 years old cannot enter though if they visit with their parents. Man Puku is a food event where you can enjoy a variety of local foods gathered from all over Japan in a spacious park. Why is this event called “Manpuku”? Manpuku means to become completely full so by naming the event “Manpuku” they wanted all visitors to become manpuku. There is no foodie who can suppress the excitement of food while facing various food stalls. Beer and cocktails are also sold so you can enjoy the local food alongside some alcohol. The Showa Memorial Park, where the event is held, is also a great place for observing beautiful flowers. Enjoying the park after you get full could be a good idea. Purchase tickets at the venue to enter. International Tokyo Toy Show 2017 is the largest toy event in Japan. Japan has invented a large number of toys as well as has various popular characters. The event will have super famous toy and gamer makers to up-and-coming start-ups showcasing their own entertainment to the max. A variety of toys and entertainment such as ones with the latest technologies to ones with popular characters on display make for over 150,000 visitors in 2 days for past years. Despite the huge traffic, this is a must visit event if you visit Japan during this period! Be sure to be prepared for the heat and long lines especially if you bring your children. There is no doubt that this event is fun, but it could be difficult to go around comfortably. If you arrive late, there are cases that you cannot enter due to the entrance limit, so if you plan to go, we recommend arriving an hour before opening. No need for reservations, but there is a possibility that admission will be regulated based on traffic. Tokyo Cat Festival is an event where people who love cats and animals, and think of the well-being of animals gather. Buying goods, looking at the displayed pieces, talking and making friends with other fellow animal lovers, anything is allowed in this event. It is a very heart warming event that anyone who loves animals can participate. There a lot of goods related to cats sold that can only be bought at this event! Visitors will recieve a pamphlet with a calendar and an origial sticket pack for the popular animal anime, “Kemono Friends”. A portion of the ticket fee would be used to help the protection of cats. If you like cats and/or animals, why don’t you go and visit? Tickets are probably available at the venue. Tickets can be purchased before the event too & if they run out of stock, tickets will not be sold at the venue.